Wade's Bridge over the River Tay in Aberfeldy. 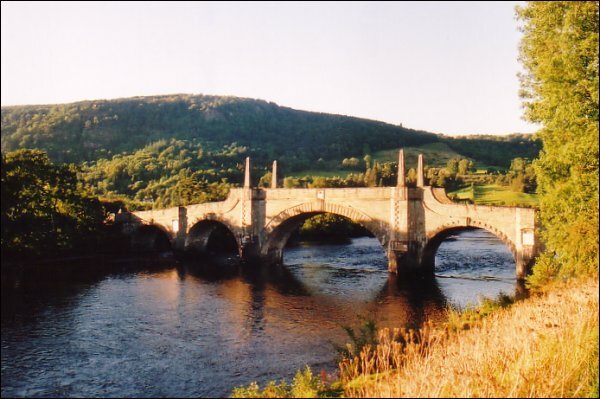 The bridge was completed in 1733 and named after General Wade who oversaw the construction of the military road network following the Jacobite uprising of 1715. The bridge was designed by architect William Adam and is still in use today for commercial traffic. Copyright © Transcotland Ltd. 2001.